Winchester manufactured and marketed the Winchester repeating rifle, which was a descendant of the Volcanic rifle . Winchester started the Volcanic Repeating Arms Company, in 1855. In 1857, Winchester relocated to New Haven, changing the name to New Haven Arms Company. The poor performance and reliability of the .25 and .32 caliber cartridges used in the pistol and rifle models respectively, was little match for the competitors’ larger calibers. The Volcanic was the 9mm of it’s time. Benjamin Tyler Henry, a Winchester employee, improved the Volcanic repeating rifle by enlarging the frame and magazine to accommodate seventeen of his newly redesigned, all-brass cased .44 caliber rimfire cartridges. Henry’s new .44 cartridge put the new company on the map, and Henry’s ingenuity was rewarded with a patent in his name October 16, 1860, for what became the famous Henry rifle. The Henry rifle was manufactured for almost six years with a total production of approximately 12,000 rifles, both iron and brass frame models. 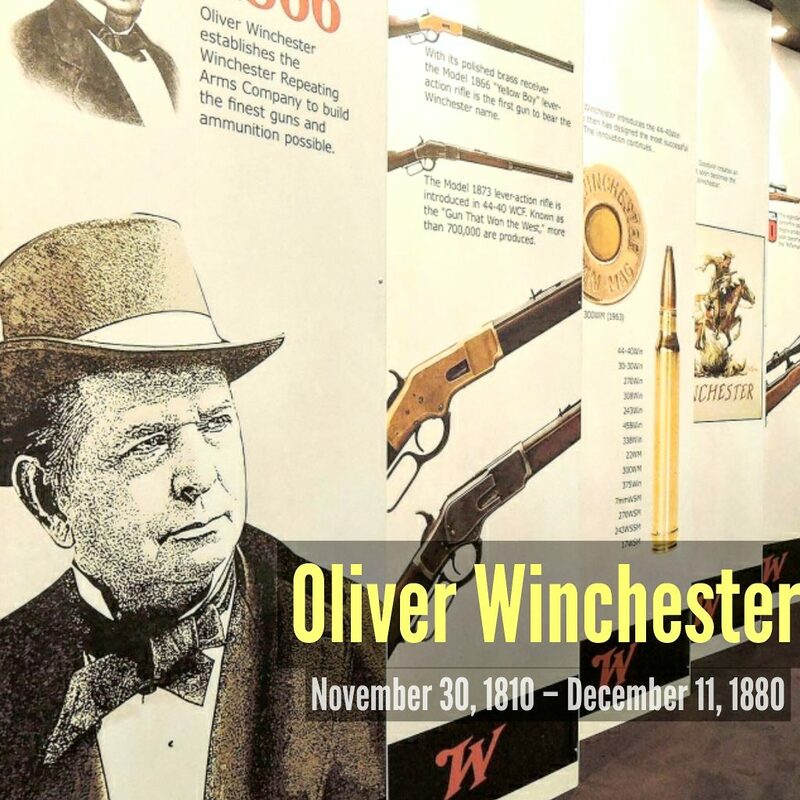 The company was renamed the Winchester Repeating Arms Company. The first Winchester rifle was the Model 1866, the Yellow Boy. This entry was posted in Firearms Inventor and tagged Born, Browning, Lever Action, Rifle, Smith and Wesson, Winchester by gwebs. Bookmark the permalink.